GoldRush apples in Boston area? Does anyone know an orchard or farm stand that has “GoldRush” apples (a late harvesting derivative of Golden Delicious) in the Boston area? I’ve had them down in PA, and they are by far the most delicious apple I’ve ever tasted (and the state fruit of Illinois!). Would love to find them around here. I would call one of the orchards known for growing a wide variety of apples. 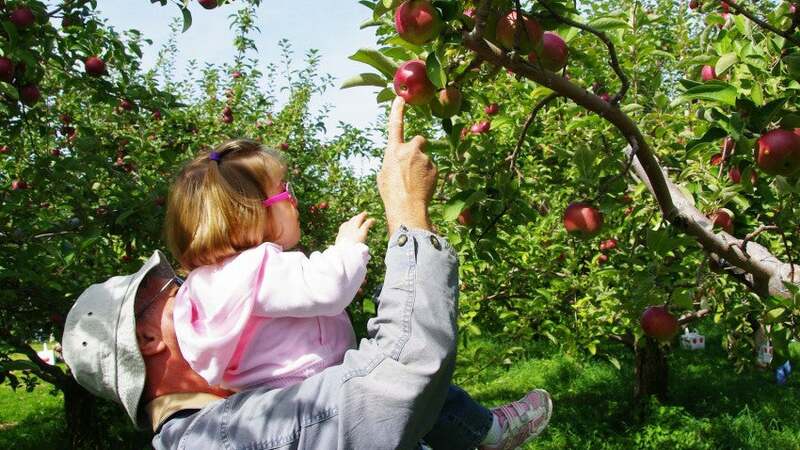 For example Noquochoke Orchard in Westport grows nearly 100 types. Their phone number is on the webpage. Foppemaps Farm bought out Keown orchards so they have a large selection each week at Copley. I’ll ask if they have them and when the season for them might me. A map of apple orchards in Massachusetts. The only one I’ve found that seems to have them is Volante Farms in Needham, but when I emailed them they replied that they are not in season yet. Their season runs Mid-October well into November. Everyone should try them! That are nothing like a Golden Delicious (which I find boring). They are both sweet and tart at the same time, very eatable with fairly thin skins, good for cooking, very disease resistant, and remarkably long lived in storage (I’ve read reports of people enjoying them one year after picking). In fact, they taste better with some storage. A modern disease-resistant apple variety related to Golden Delicious, with crisp hard flesh and a good sugar / acid balance.